The Glass Tower display is designed to have a 360 degree view of the merchandise. 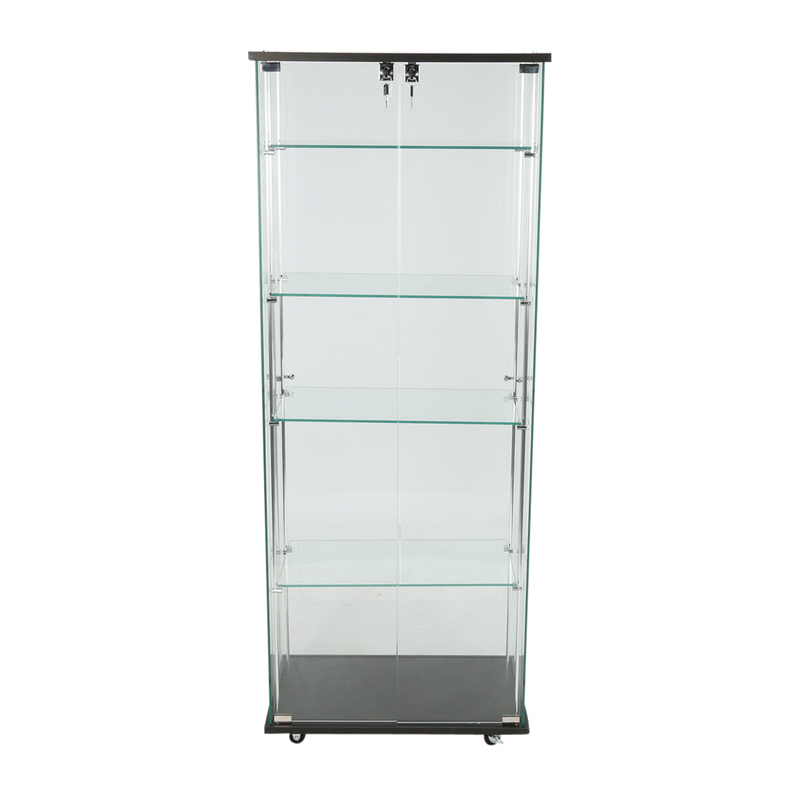 It has a black base with casters and a glass swinging door that locks. 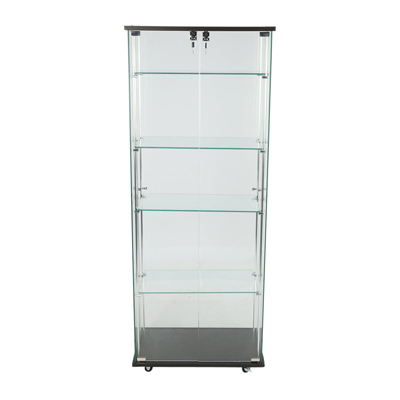 Four tempered glass shelves are adjustable to accommodate all sized items.